Most of our visitors first comment about our perfect location as they are amazed at how easy it is to reach us whether you are arriving from the North, Scotland or from one of London's 5 international airports (and soon Eurostar). Close to the major attractions and the West End we are ideally located for the theatres, variety of restaurants, clubs and shopping of London. 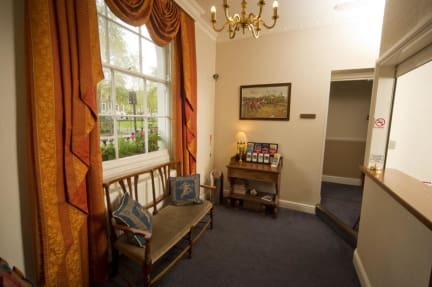 We are also just a few steps away from Bloomsbury where you can experience the splendour of the Georgian and Victorian eras - including the British Museum and Dickens House. Our tradition of providing clean and comfortable accommodation is now entrusted to the third generation of the family (Saviour, Tania and Paul). The rooms are moderately furnished with TV, tea/coffee tray and wash hand basin. Some rooms have en-suite bathroom facilities. All rooms are serviced daily. Our very reasonable rates include English breakfast and tax. Cancellations need to be notified by fax or telephone at least 3 days prior to arrival. > No shows are charged the full reservation. 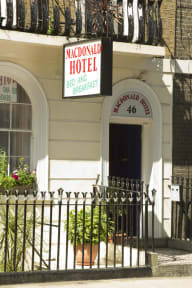 All rooms are private rooms (no dorms) and include TV, wash hand basin and complimentary tea/coffee making facilities. Some rooms have attached bathroom facilities - these are shown as en-suite rooms. The other rooms (shown private) share bathroom facilities with other rooms. Bathrooms are conveniently located on each level and are shared between 4 or 5 rooms.